Now browse through your video to find where you want to start blurring, then use the blurring tool to select an area to blur. Once a selection is made, you can change how long the blur lasts in the timeline. 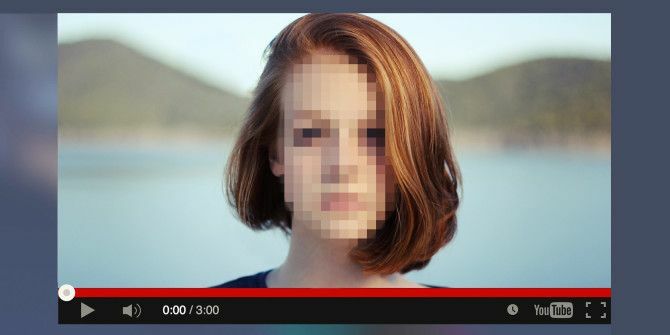 By default, YouTube tries to track the object so there’s no option to manually transition the blur’s position as the video progresses. However, if you don’t want the auto-tracking to happen, you can Lock the blur to keep it in one place. If the YouTube editor isn’t good enough for you, then we encourage you to check out some of these online video editor alternatives The 5 Best Online Tools for Making Professional Videos The 5 Best Online Tools for Making Professional Videos There are lots of web-based video editors out there, sadly some aren't very good. Don't worry though, here's our list of the five best. Read More . We think YouTube’s is super easy to work with, but sometimes you do need a little more power. What do you think of the new blurring feature? Will you use it a lot or is it too much of a gimmick? Share your thoughts with us below! Explore more about: Online Privacy, Video Editor, YouTube.